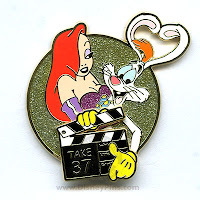 Jessica and Roger Rabbit are rehearsing for a scene. The background of the pin is circular and gold glitter filled. Jessica is golding her husband, Roger. Her dress is dark pink glitter filled. 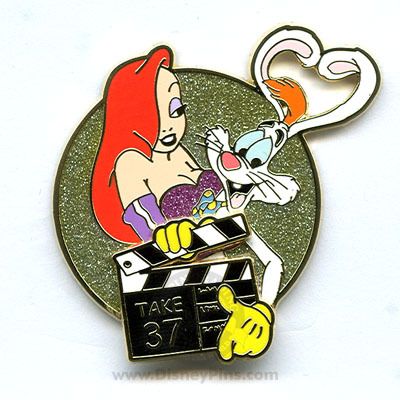 Roger his holding a clapboard which is pin-on-pin and reads "Take 37".